Stereo Array Microphone Bar | 5 Year Warranty! 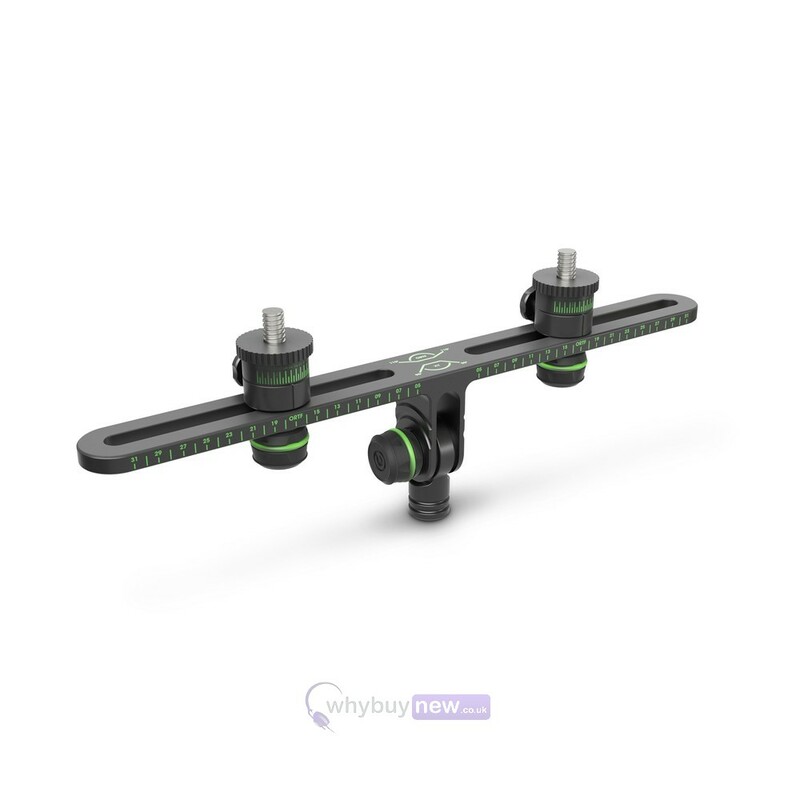 Here we have the Gravity MS STB 01 PRO from one of the leading innovators in stands and accessories for DJs and musicians. 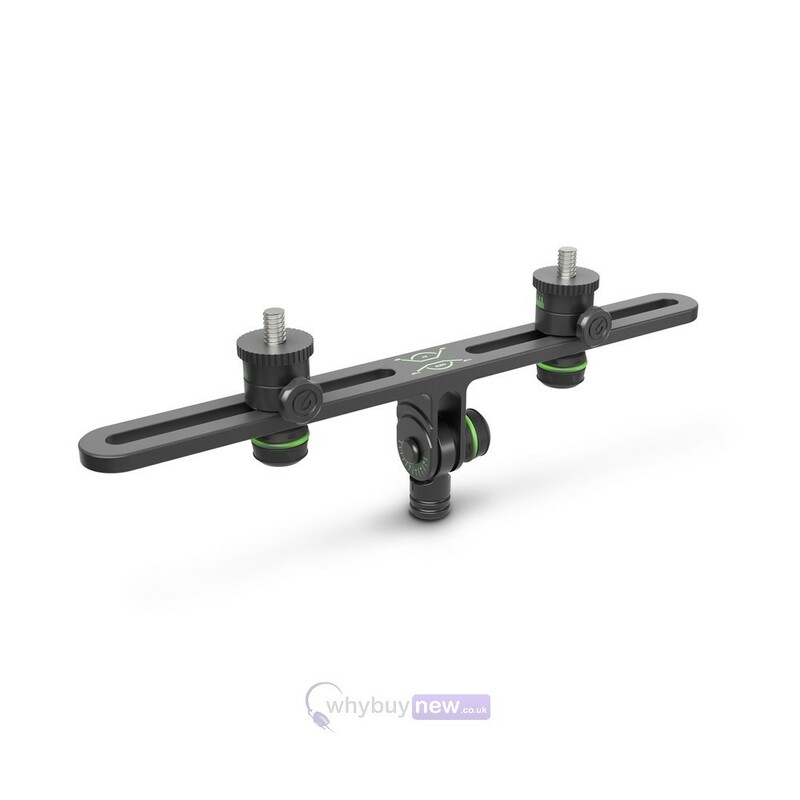 True to form this MS STB 01 PRO stereo array microphone bar attaches readily to most microphone stands and enables you to set up two separate microphones in exactly the position you need them. 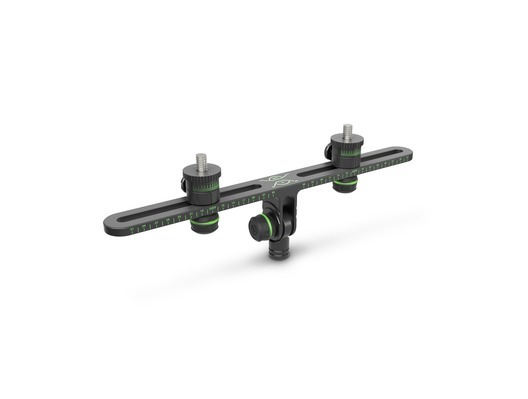 The bar features incredibly useful spacing and angle markings so that you can easily recreate the exact positions every time you set up again. 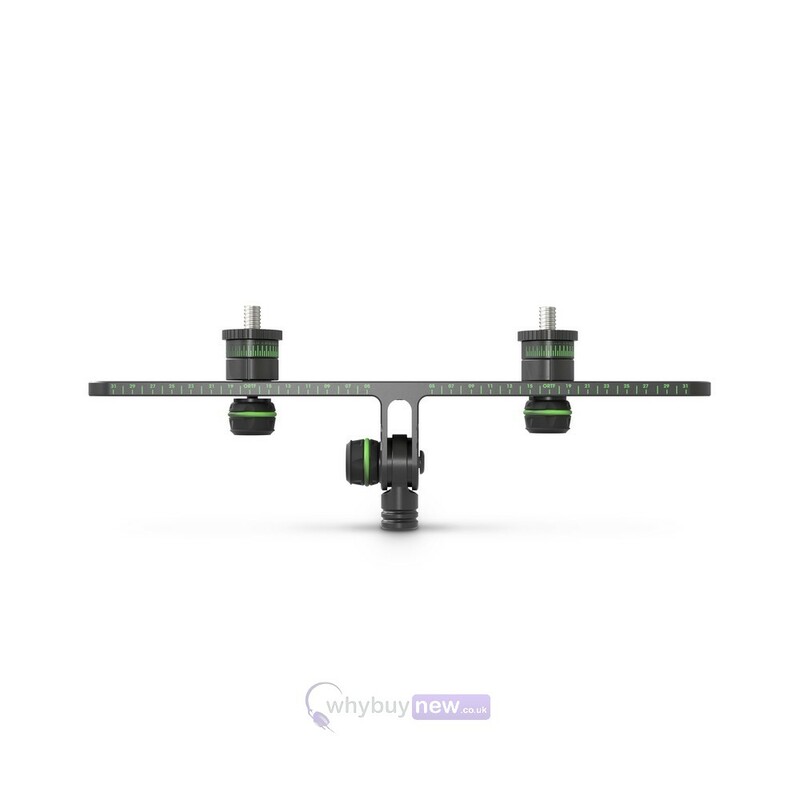 Enabling accurate and easily repeatable two-microphone stereo recording arrays, the Gravity Stereo Bar is a real precision instrument. 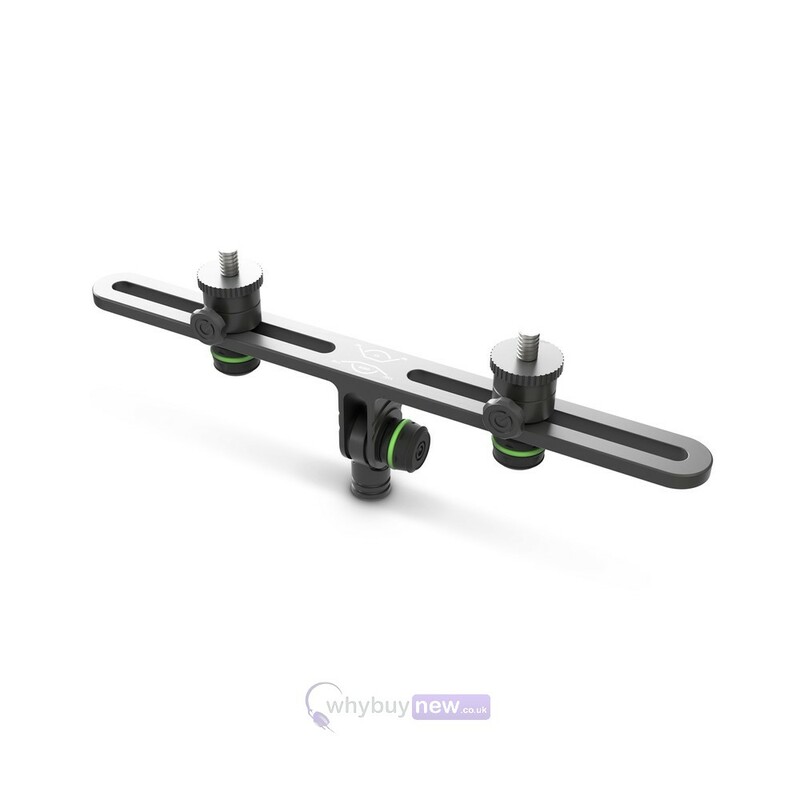 It allows for exact spacing of the sliding microphone mounts from 6 to 29 cm, +/- 90 degrees microphone orientation on the horizontal axis and +/- 90 degrees tilt of the entire bar. Easy-to-read spacing and angle markings facilitate fast and precise positioning, taking notes of your settings and recreating them without effort. 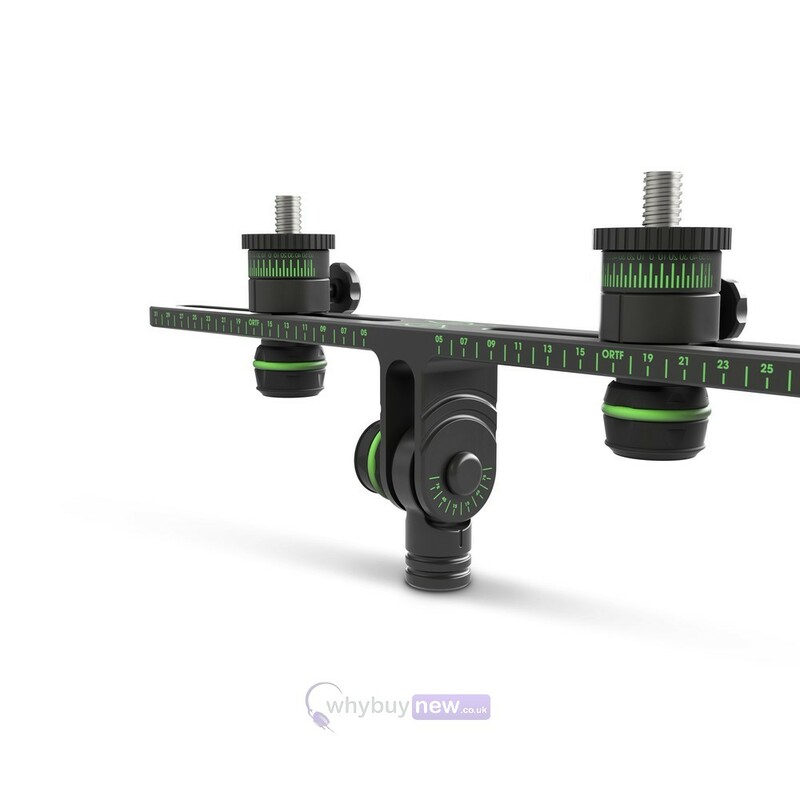 Set screws with ergonomic soft-touch knobs securely lock the adjustable parts in the desired position. 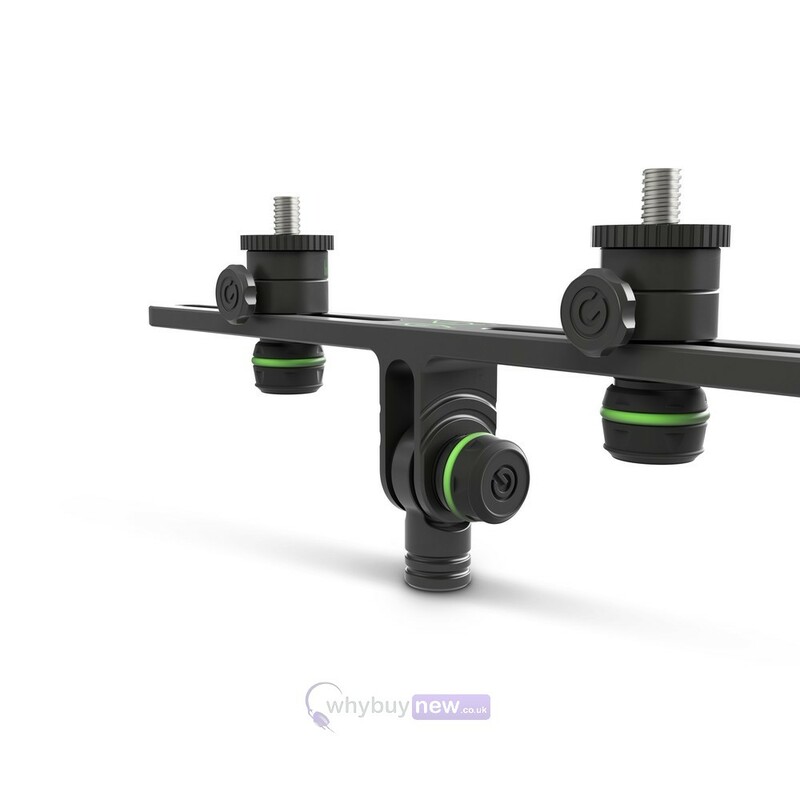 The Gravity Stereo Mic Bar is suitable for common stereo recording techniques including ORTF, DIN, XY and AB patterns and mounts on any mic stand. 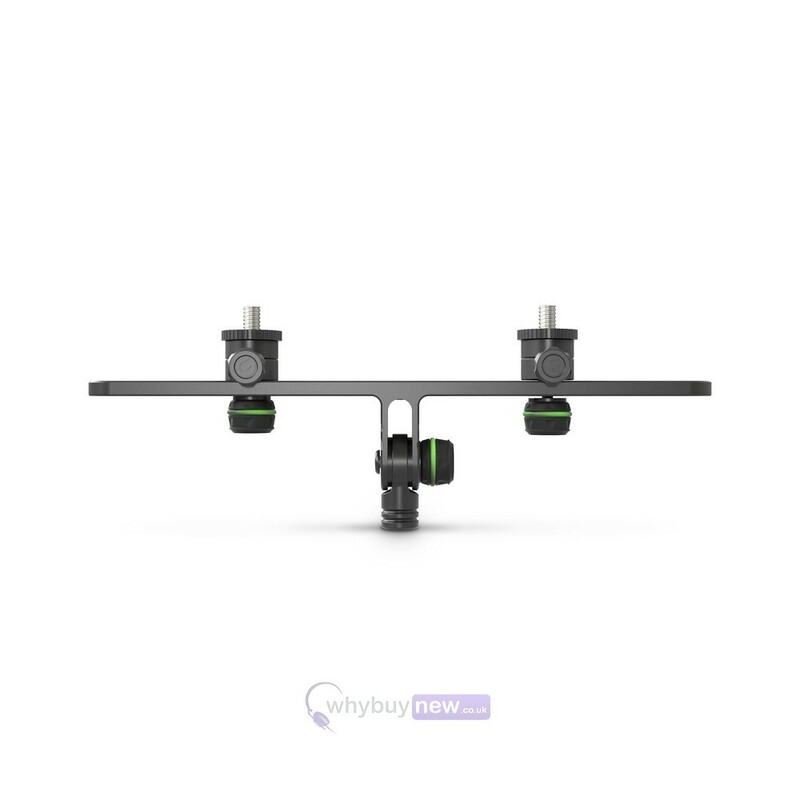 It is engineered from strong yet lightweight aluminium and easily able to support two large diaphragm microphones.